"The savings from using this tool (the first time) almost paid for the tool three times, not to mention the savings in down time." AND MOST IMPORTANT - NO MORE HELI-COILS which require more drilling and tapping oversize. Watch the demo video above to find out more how this tool works! "With this broken bolt extractor kit and your cordless drill, you can take the machine shop to the problem. Not drag the problem to the machine shop." Every mechanic knows the horrible feeling after they have turned a bolt too much and it snaps. The time invested to get your equipment back to work will now take hours or days to fix the problem of a broken bolt. This is where the Broken Bolt Extractor from Brokenbolt.com comes in. Proven to reduce the time of drilling out a broken bolt to minutes, not hours or days. Without having to send the part out to be remachined, salvaging the original threads. The inventor of this tool, Chuck Fulgam, has story after story of how this tool has helped many equipment owners recover quickly from a broken bolt repair issue, saving them hundreds or thousands of dollars in repair bills and hours of downtime. Used by the US Military for many vehicle applications, they immediately saw the potential in both time savings and potentially life threatening situations in the field. Broken bolts can have a disastrous effect in the field if you need to be on the move. The faster repairs are completed, the better. 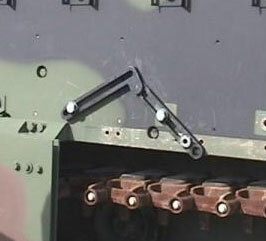 And the Broken Bolt Extractor from Brokenbolt.com helped the military to accomplish this. Fleet maintenance services have also seen a huge advantage in adding this broken bolt extractor tool in their tool box. From huge time savings advantages to getting the vehicle back on the road. Saving from downtime and increasing the productivity of the vehicle.